On Thursday, November 1, 2018, the Sheriff’s Office hosted its eleventh presentation of “Civilian Response to an Active Shooter” at the Hanover County Administrative Building. To date, thousands of citizens have attended this presentation and received this valuable information. The information presented focused on historical case studies and current best practices. 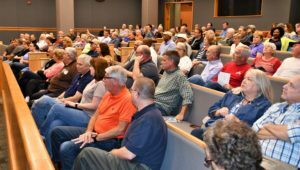 This presentation was designed to make the community aware of what they can do to be better prepared and develop a plan should an event like this occur. Partnering with the community to deliver this information and the favorable response received is indicative of the great partnerships shared in Hanover County. 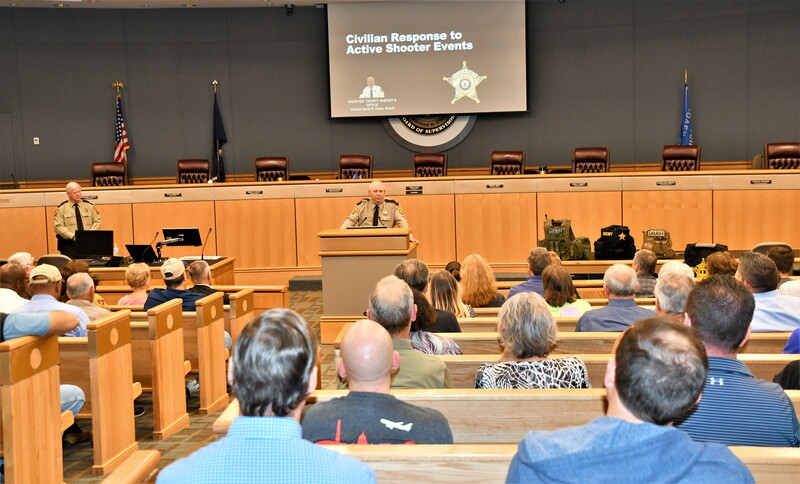 The Sheriff’s Office would like to extend its sincere appreciation to all who attended and made this presentation another great success. The Hanover County Sheriff’s Office would also like to thank the media for assisting in promoting this event. For more information about the Hanover County Sheriff’s Office SHIELD Program, please contact Lieutenant Terry Sullivan at 804-365-6331 or visit our website at https://hanoversheriff.com/362/HCSO- SHIELD-Program.